James currently represents financial institutions, broker-dealers, executives and individual advisors in federal and state litigation, arbitration, regulatory proceedings and investigations. He has extensive experience pertaining to investigations, due diligence and compliance matters. He regularly counsels financial institutions and individual advisors on raiding, recruiting and transition matters, including compliance with restrictive covenants and the Protocol for Broker Recruiting. James has represented board members, managing directors and executives of leading Fortune 500 firms in the highly regulated financial services, investment advisory and healthcare industries concerning change of employment, compensation, severance negotiations, investigations and other employment-related issues. James also represents corporations and individuals charged with federal and state crimes, focusing on securities and financial related matters, including insider trading, money laundering, securities matters and wire/mail fraud, among others. James draws on his investigative experience to assist in pre-indictment defense and internal investigations concerning corporate and employee criminal conduct, theft of trade secrets or other protected information and other sensitive corporate matters. James acts as liaison to law enforcement agencies when corporations uncover employee or agency illegality. Prior to attending law school, as a Special Agent for the United States, James was responsible for conducting international money laundering and narcotics investigations. His duties included criminal and regulatory investigations, as well as assisting U.S. Attorney Offices in trial preparation. After September 11, 2001, he transferred to the newly created Department of Homeland Security in a counter-terrorism capacity. 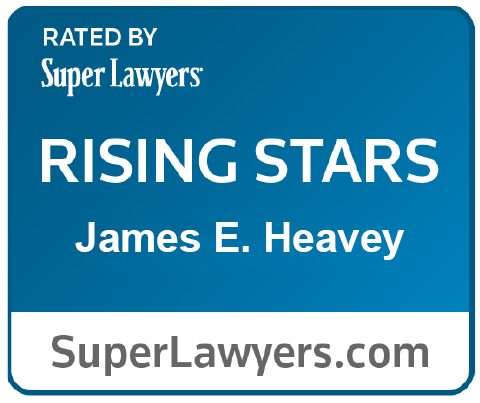 As published annually, James was selected to New Jersey Super Lawyers Rising Stars list from 2012 to 2015 and selected to New York Metro Super Lawyers Rising Stars list 2016 to present. Immediately prior to joining Barton LLP, James was with Stevens & Lee. Quoted in “Morgan Stanley Says Fleeing Michigan Team Leaked Plans at Client Dinner.” Advisor Hub. (February 22, 2018). Quoted in “Wells Fargo, Morgan Stanley Use Contrary Tactics to Keep Advisers.” Investment News. (January 25, 2018). Quoted in “Wall Street Fights to Keep Brokers.” Wall Street Journal. (November 27, 2017). Quoted in “UBS Broker-Protocol Exit Puts Firm Before Clients.” Investment News. (November 27, 2017).